Produced by Phil Moakes and presented by Phil Moakes and Maggie Gregory. 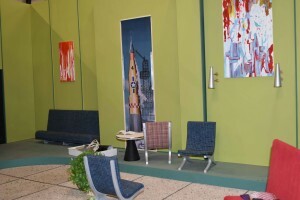 Back in 1965, film maker Gerry Anderson launched one of the most loved TV shows of all time – Thunderbirds. Thunderbirds was a gripping action series made for a younger audience with the starring roles cast to puppets and marionettes. The TV show, set in the 21st Century, followed the adventures of International Rescue, a secret organisation dedicated to saving lives in emergencies when all else had failed. 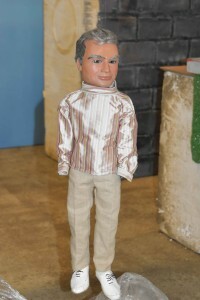 Since the sixties Thunderbirds has repeatedly returned to our screens in various formats – but, it has never been revisited as a puppet series – in what Gerry Anderson called Supermarionation. Last year, film maker Stephen La Rivierre launched a Kickstarter project to make a new episode of Thunderbirds, using the original cast voices, recreating the iconic puppets and models. By August, 3,300 people had backed the project pledging over £218,000 – enabling the production team to take on not one new episode, but three. In December the filming concluded and on January 4th 2016, all of the new episodes were screened at the ICA in London – the first new Thunderbirds episodes made in Supermarionation in 50 years. FM broadcast date/time - Sunday 6th March and Sunday 13th March at 2pm.